The Kremlin has earmarked a further 3.2 billion roubles ($51 million) toward “indigenization” of the Sukhoi Superjet SSJ100, part of a 20-year research and development program for the country’s civil aviation sector meant to reduce the program’s exposure to tightening U.S. sanction regimes on rogue states. The move comes a year after government representatives in United Aircraft Corporation’s (UAC) management authorized development of the SSJ-SV, a version of the SSJ100 featuring indigenous propulsion and avionics. At the Eurasia Airshow 2018 in Turkey’s Antalya, Sukhoi Civil Aircraft (SCAC) introduced the SSJ100R, a customized variant for Iran Airtour and Iran Aseman, as well as the SSJ75, a more technologically advanced solution for Russia’s S7 Airlines. Both arose from the aforementioned SSJ-SV effort. The new budgetary injection boosts an effort hampered by continuing financial losses, notwithstanding SCAC’s 19 percent 2017 revenue gain. According to UAC’s 2017 annual report, during the past two years, its SCAC subsidiary generated losses of nearly 5 billion roubles, raising its consolidated debt to 25.3 billion roubles. SCAC hopes to help repay the debt by generating more sales from Iranian airlines after the cancellation of their orders with Boeing, Airbus, and ATR following U.S. withdrawal from the Joint Comprehensive Plan of Action, better known as the Iran nuclear deal. Deprived of U.S. parts and critical technologies, the SSJ100R can sell into the Islamic Republic without approval from the U.S. Treasury’s Office of Foreign Assets Control (OFAC). Iranian sales would come on the top of those in Russia. The domestic market absorbed most of SCAC’s output during the past three years, as Russian airlines took 93 locally manufactured passenger jets. After 27, 36, and 30 deliveries in 2015, 2016, and 2017, respectively, UAC plans 30 this year. Although the company claims a 37.5 percent share of the global market for jetliners with a seating capacity of 80 to 120, and that for regional passenger airplanes in general at 19 percent, the statistics do not necessarily reflect an increase in deliveries. But UAC needs to do so to achieve the objectives set at its establishment more than 10 years ago. The Kremlin still holds aspirations for UAC to outpace Embraer, ATR, and Bombardier in terms of deliveries. The corporate strategy renewed in September 2016 states that UAC must emerge profitable after tax by 2025 and attractive to outside investors before 2035. It also calls for the company’s share in the global market for passenger aircraft with over 20 seats should grow to 4.5 percent by value in 2025. While maintaining an 8 percent share of the global market for combat aviation, the manufacturer must demonstrate profitable growth in the civilian aircraft business, so that it generates more than 40 percent of the corporation’s income in 2025 and 45 percent in 2035. Last year UAC’s civil programs generated total income of 75 billion roubles or less than 17 percent of its 452 billion rouble total. Boasting a 103,000-strong workforce, UAC aims to increase output through a fivefold rise in labor productivity by 2025. During the next three years, the manufacturer plans to invest 403 billion roubles into tooling renovation and R&D, with 32 percent of the funding from the company’s own sources and the rest from governmental sources. 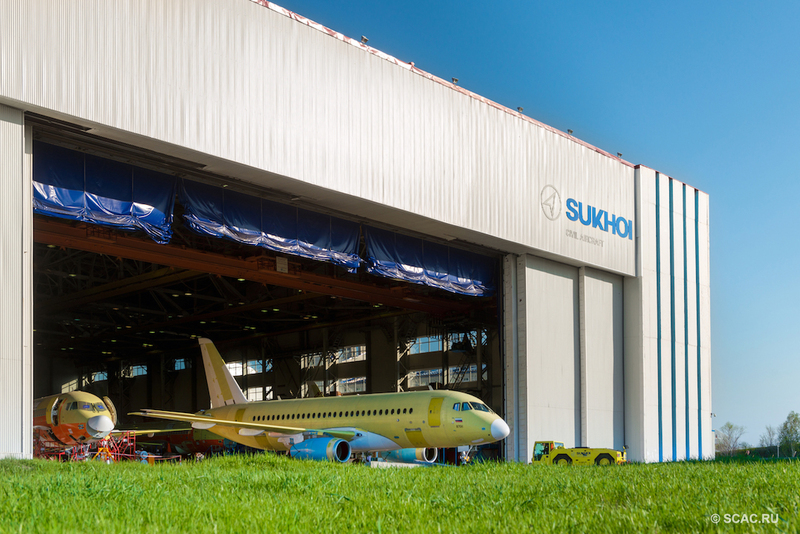 One-fourth of that investment will go for civilian airplane programs, including 14 percent for the MC-21, 3.3 percent for the SSJ, 1.9 percent for the Il-114-300 turboprop, and 1.8 percent for the CR929 widebody, now under development with Chinese partners. Last year, the Kremlin injected 3.6 billion roubles into the Ilyushin Il-96-400M widebody and 9.6 billion roubles into the Il-114-300 regional turboprop.